I found this awesome lampshade at my local thrift store for ONE DOLLAR! The thing I’ve learned about shopping for thrifted lamps is: it’s hard to find a lamp WITH the lampshade AND the harp (the metal piece that holds up the lampshade). 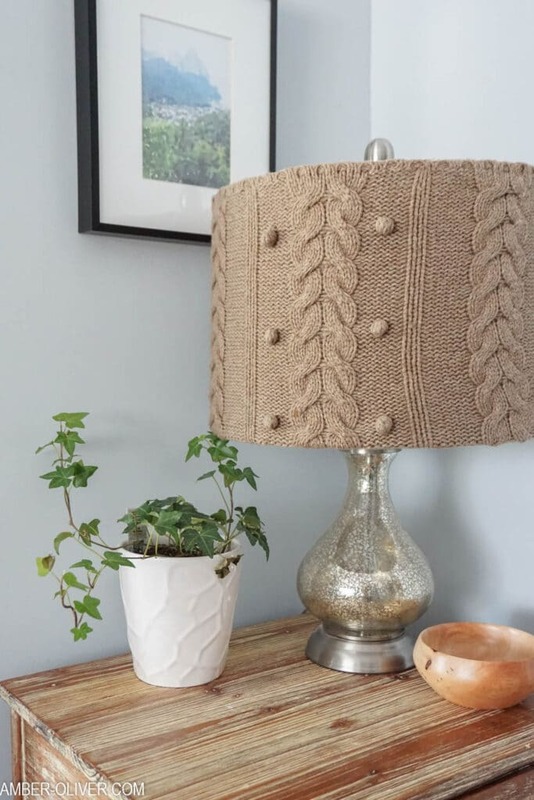 The lampshades are easy to mix and match/swap out so when shopping for a thifted lamp, be sure you pay attention and make sure you are getting both pieces on the actual lamp. Also, always check that the cord is still in good condition (we don’t want a “This Is Us” crock pot situation!). 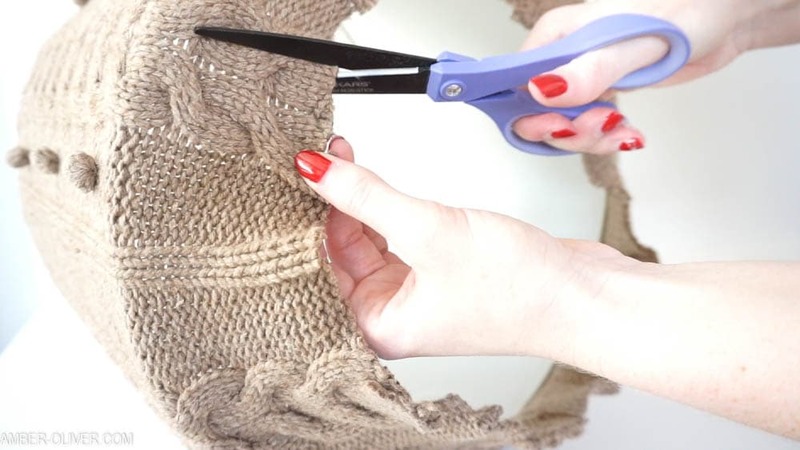 For this DIY lampshade I used an upcycled sweater with a really fun design. 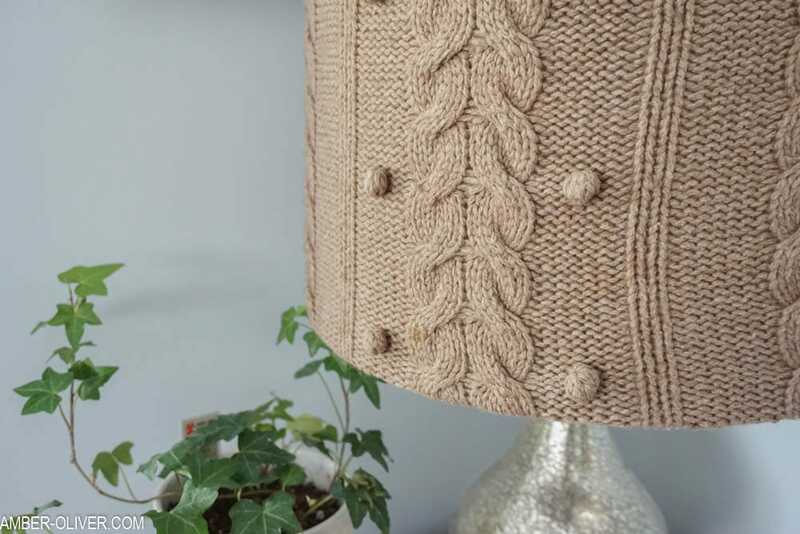 The little balls on front in addition to the cable knit will add a really fun texture to our lampshade. 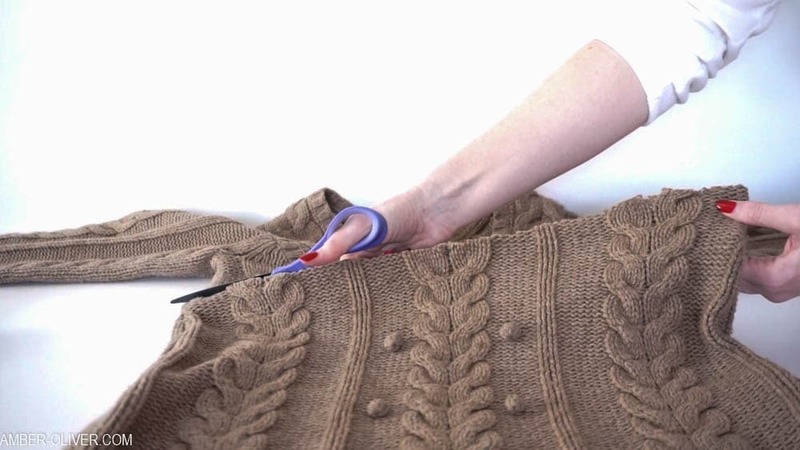 First, cut straight across just under the arms. Next, slip it over the lampshade. I put the finished/hemmed edge at the top, and used hot glue to secure all the way around. Next, I flipped it over and made cuts all the way around so it would be easier to glue. 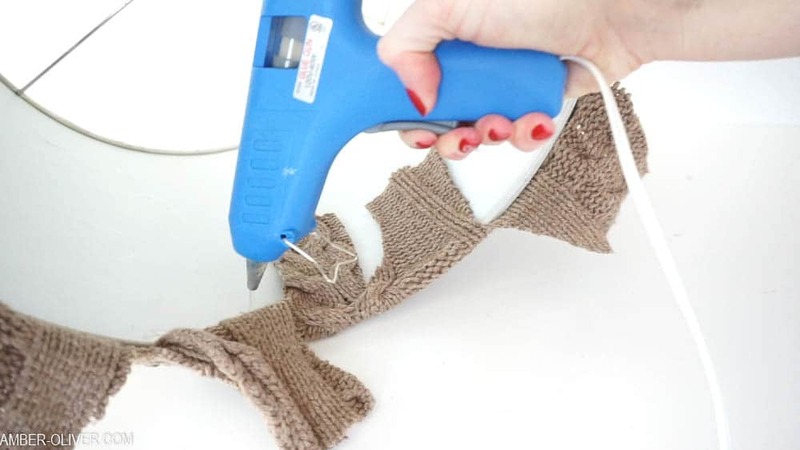 Glue each little flap down with hot glue. 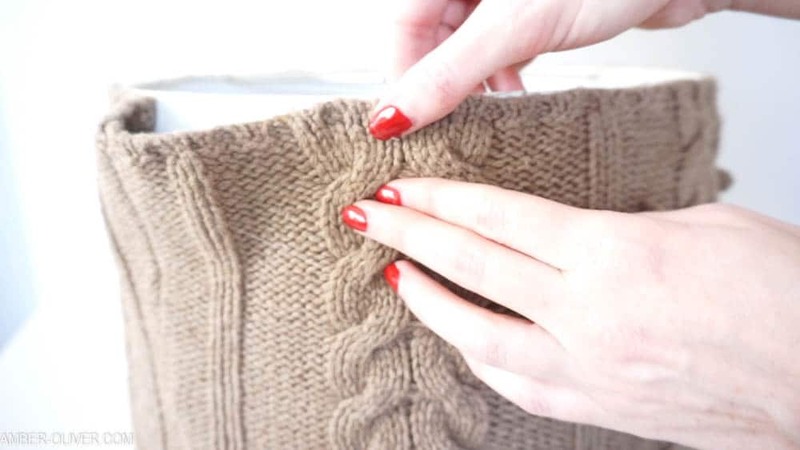 After the sweater was secure, I trimmed away all the excess material. 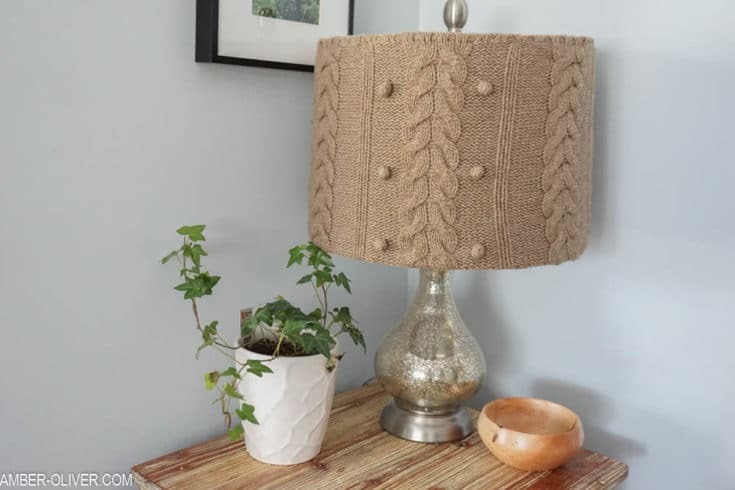 A sweater lampshade makes a cozy addition to your home! 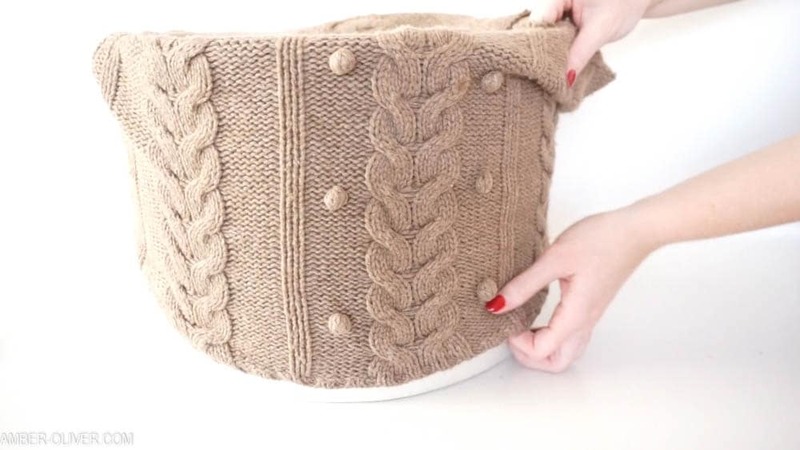 If you LOVE upcycles, then I have a treat for you! 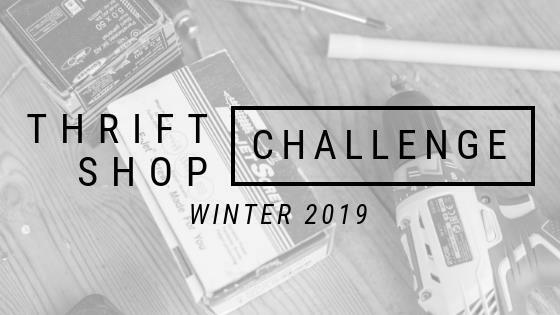 This post is part of the Thift shop challenge!